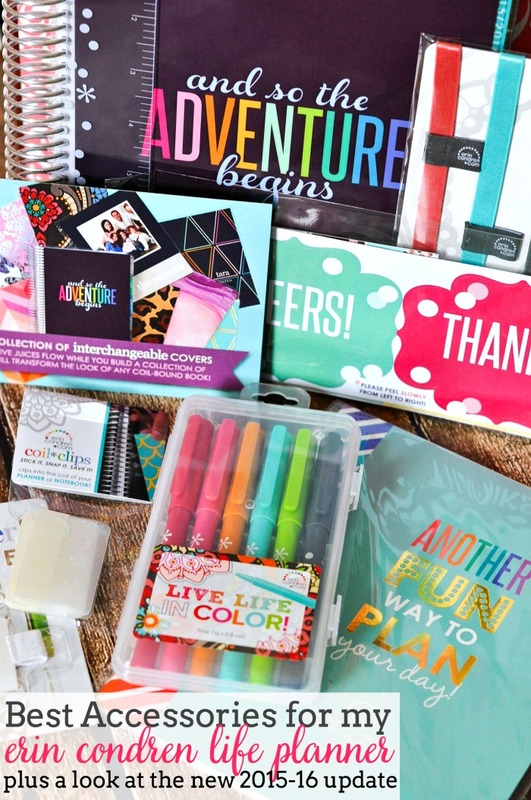 I received a free Erin Condren planner and launch kit for review, but my opinions are honest and true! 😉 This post also includes an Erin Condren referral link and affiliate links. 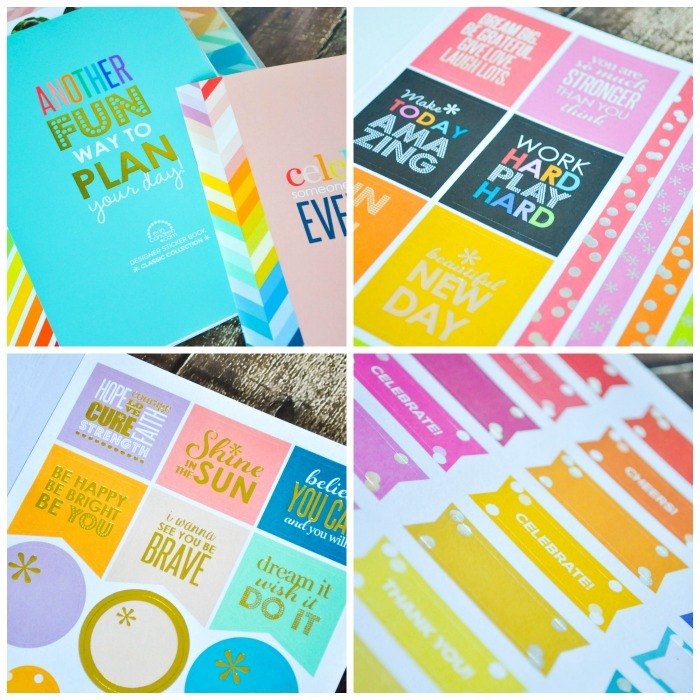 If you follow along here on a semi-normal basis, it should be no surprise that I am obsessed with Erin Condren (this is my referral link – sign up for their newsletter via this link and receive $10 off). Her Life Planner keeps me sane and on track day-to-day but I also love her other products, too – personalized notebooks for brainstorming and family journaling, cell phone cases, canvases, and more! 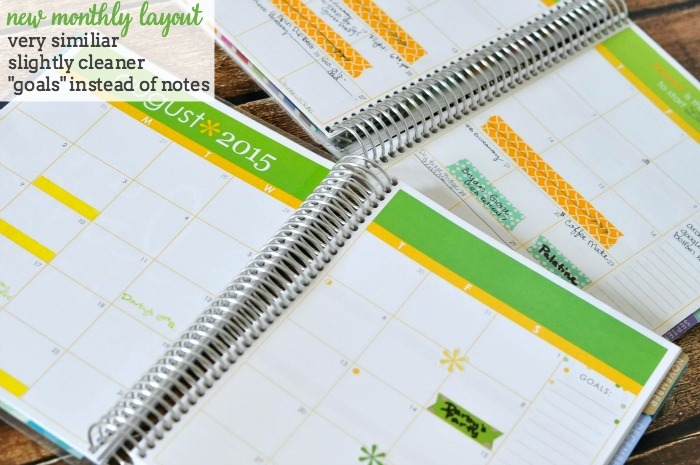 My post on How I Use my Erin Condren Life Planner is one of my top five most popular posts! Even I love searching Pinterest to see what other people are doing to get ideas and improve my organization. 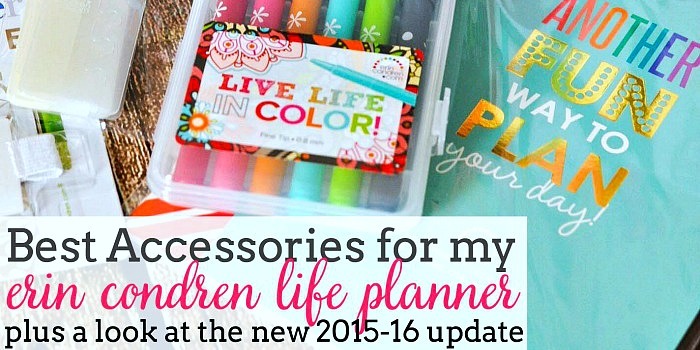 With the brand new 2015-2016 Erin Condren Life Planners released this week (yay! ), I thought it would be the perfect time to share with you my favorite accessories for my planner and where I get them while also giving you a look into the brand new version! First – let’s talk about the new version. Since I am active in the Erin Condren community, I did receive the new version free to share with all of you and some of the new goodies, too. I am always honest though! My overall first impression about the new planner is that it feels much cleaner – less “busy”. I love that. Some places where there used to be text are now left blank, which makes it much easier to customize your planner. For example, the weekly layout used to say morning, day and night which is never how I used it. Now I can personalize it my way – blog, VA work, and personal. The monthly layout is not that different from the last version. The quote is missing from the top right which bothered me at first, but I think I like it now. I really do love the simplified version. It feels less cluttered. The only other real change is that it says “goals” instead of “notes” on the right side with a couple little colored dots. This is definitely less is more! The “time” markers are gone as I’ve mentioned, as is the band at the bottom that labeled it as “meal plans… daily dos…” etc. It allows you to use that space however YOU want to use it. The dot ribbon is also gone from the left side, as is the label “Weekly Goals and Notes”. Instead, it’s also blank allowing you to label it the way you use it. I really think this is the motto for the new update – personalize it your way! The other change is that the small monthly calendar is missing from the top left and is replaced with a box for a “thankful thought”. This is the only thing that seems a little less productive but since the monthly spread is never far away, it’s not a huge deal. BIGGEST CHANGE – you can now order your planner with a vertical layout (like the old version and my own) or you can order a horizontal layout. The horizontal layout basically has one long slot for the day instead of breaking it down into sections. They show the difference in their Look Book video! This is a completely aesthetic thing, but every planner now has a pretty vellum detail page that the metallic versions only had before. Washi Tape: This is my most used accessory for my planner. I use washi tape to mark Bryan’s night shifts, travel, visits out to parents, etc. I love having an easy visual to see what my time looks like. The included ruler in the Life Planner is super helpful for get a clean rip on the washi (hold it down firm where you want it ripped to create an edge). I purchase most of my washi tape from craft stores, Pick Your Plum, or a few Etsy shops, like Chickydoddle, FoxandStar and Mailbox Happiness. The last three all sell thin washi tape, too, which I really love for the planner. Colored Markers: Some people use colored markers to color coordinate aspects of their life. I can see that as totally helpful when you are tracking multipole people’s schedules. For now, I love having things color coordinated to match design or have something important stand out. I normally use Fine Tip Sharpie Markers but am also loving the new markers Erin Condren released. The colors are darker and therefore more readable than the previous version. 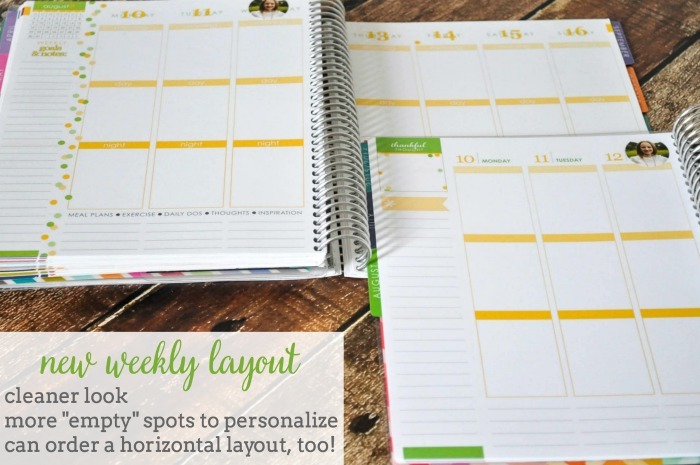 Photo Stickers: I love finding ways to personalize my planner, and the Erin Condren photo stickers are my favorite way to do so. I upload photos of my immediate family and closest friends to mark birthdays and anniversaries. You can see an example in the weekly layout up above. Coil Clips: While I do not use these Coil Clips a ton in my planner, they are super helpful when I do. If we have a wedding invitation or birthday party invite – anything with essential information – I attach it to one of the Erin Condren Coil Clips and put it in the right week. That way it’s there when I need it. No more digging around. I have also found some really awesome stickers on Etsy shops that I love, including shops that sell coordinated sets to match the color for every month. Small Town Grace is one of my favorites for quality stickers and a blend of both fun and productive options. I use her mason jar water tracker (to hold myself more accountable) and picked up some of her routine stickers, too, to track progress on larger projects. I definitely need visual reminders and motivation. And because I’m nerdy, I picked up her set of Disney stickers and Harry Potter stickers. They’re AWESOME! You could also check out: Scribble Prints Co, Karolina’s Crafts, and It’s Planning Time (I love their date night stickers). If you want to buy your own, sign up for their newsletter using my Erin Condren referral link. You will receive $10 off in your email to use for your order (and so will I). 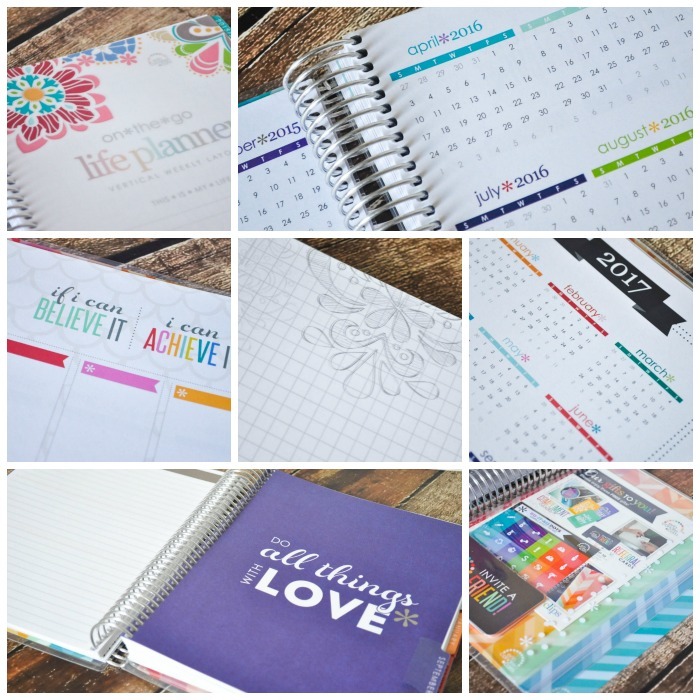 AND if you are on the fence, you can check out my other posts on Erin Condren, especially How I Use my Erin Condren Life Planner. AND if all that isn’t enough, you should also check out the look book over at their site! It’s awesome! Your turn! Tell me what you love adding to or using for your planner! I want to add more ideas to help others! I’d love to find the clear ruler you have in your planner. Did I overlook your source for that? I am so sorry for the delayed response. Due to a death in the family, I fell very behind in comments. The ruler comes included with the planner and notebooks. You can also find it under “snap in bookmark” on the Erin Condren site under accessories. I love using stickers and to do lists to help me remember what needs to be done that day. With a full time job and a part time job, two kids and a husband to keep track of, there’s always something to do. I also use different colors for different people in my planner, so my daughter is pink, my son is red, my husband is green and i’m blue. That way I can see who has what going on during the week, so I can plan early bedtimes or a crock pot dinner depending on the schedule. I love my Erin Condren planner, I don’t think I’ll go without one ever again!